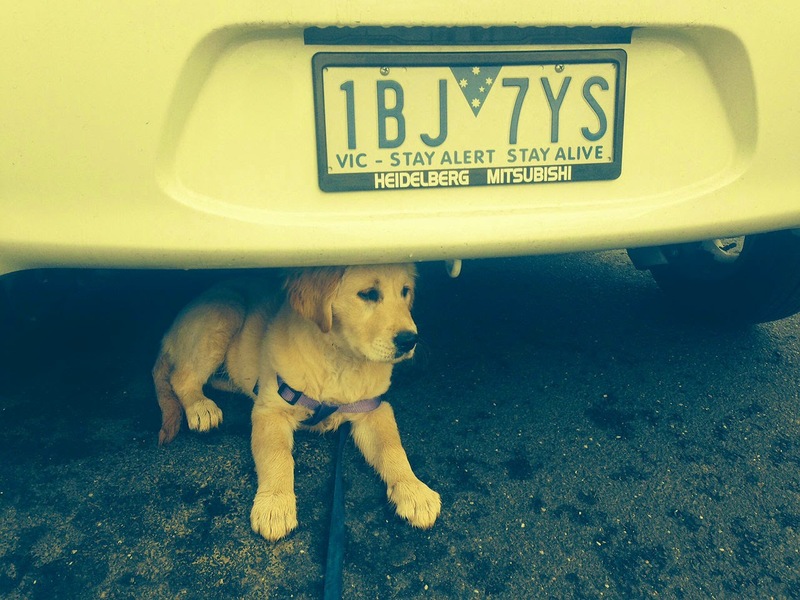 Stella spent the majority of her last Dog Obedience Class under the car. She wasn't moving for anyone, even Elvis. She finally crawled out just when the testing started. She trotted in, did what she had to do and was out of there again as quickly as she could. Stella doesn't appreciate formal education it seems. I feel she may be the practical kind. So, we've been training her to do more useful things.....like cleaning. Seriously. Watch this fully grown Golden Retriever Grace clean. I have had to rethink how I clean. I have bought an electrostatic mop, lint brushes, hand sanitisers, and some different healthy cleaning products. And luckily, a couple of weeks ago I was offered some Dettol products to try. Of course I jumped at the chance. I've always used Dettol's soap and antiseptic but have never tried any of their other products. In fact, I didn't even know they had any other products. As well as cleaning products Dettol has a range of good personal hygiene products which I was able to try. I particularly liked the Dettol Hand Sanitiser. I thought I was fastidious about hand washing after that cruise I took... but now I am even moreso since Stella came to stay. I am now just looking forward to the day when my cleaning lady grows up some more and learns everything she needs to know. You know, so she can really clean up her own mess and help out more. A girl can dream. Watch this space. Grace, a role model Stella can aspire to be like one day. I have a pack of Dettol Cleaning and Personal Hygiene Products (to the value of $120) to give away to one lucky commenter on this post. NO, the cleaning lady is not included. You will have to get your own. Also, if anyone has any cleaning tips to pass on please do. I Stella could use them. Ha ha that is the way, put Stella to work the poor little girl. My father's dog could go get his bottles of beer when asked. They love fetching things so it may as well be something useful. A win win. When you get her trained I would love to see the video. Cleaning tip? My best purchase was buying one of those little squeegees for the shower. Cost me hardly anything and has saved me lots of cleaning time. He he bottles of beer. Funny. Yes have those squeegees and they are great! cute video! Nice to hear from you Lilly! It is cute. It is amazing what people can training them to do. Not sure if I have that much patience but once they learn anything it sticks. Stella opens the door now and turns the door knob. Very smart girl and stubborn. Stella is so adorable. I'm enjoying and taking note of how you're adjusting to having a dog to run your life. I've mentioned more than once that we should consider getting one, but Art (who is the real dog lover) refuses. He says we are gone too often and doesn't want to leave a dog on his/her own for such a length of time. He says we'll get one when we don't leave so often. Meanwhile, I'll enjoy Stella. She is adorable but really my daughter's dog and has just gone back to the City to live with her. I will only get visits now every now and then. Which is enough. I had her for a few months though and puppies are hard work. But, now she is getting older and trained she is such a loving dog. Gentle, sociable and wants to please. Worth it for sure when you are home more and not travelling as much. Very cute. But was your dog irritated about being dressed up? No, that is another dog. one Stella can aspire to. I tried dressing Stella up in the fairy outfit (see Instagram photos) as a joke and it was hard work. I prefer her in her natural state, lol. If you can train her to clean then I am putting an order in for one just like her. Too good! OK will keep you in mind lol. I know! Ok, your in the mix. Awww, your dog is adorable!! The only cleaning tip I would have would be to try and clean as you go; ie. once you're out of bed, make it. If you have finished your cuppa, wash the mug. That way the chores don't build up too much. I try and do this, but with three young kids, it is near on impossible! :) Thanks so much for the opportunity to win! Good tip. It makes it easier to clean as you go and I hear you with 3 young kids. You can only try. And good luck, products like this would be very useful with a family. Lick your bowl clean, Stella. You never know, you might get some more! That would be fun. Good luck! I like the sanitisers too. Great idea when out and about and great for young kids too. Dettol is one of those "tried and true" products that hasn't needed to be re-invented. My mum used to put a splash in our baths every night and now my family, over 50 years later, likes the Dettol soap but the principal is the same. Heather, what you wrote brought back memories for me. Splashing Dettol in the bath is a memory I have too. Wow it has been around a long time hasn't it? Ohhhhhh Heather and Sarah, I still do that. And I still use the Dettol disinfectant just because my mother and grandmother did. And everything my grandmother did is proving to be right. For example, she would never store food in plastic. And guess what? Everyone now says how dangerous plastic is. She also said do not dye your hair but I haven't stopped doing that!!! Good luck both of you. Good to watch the beautiful Stella growing up and becoming helpful. Good also to know that the ever-helpful Dettol is still around to help keep my home and family clean and healthy. Yes she is adorable. And good luck on the Dettol giveaway. Maybe he needs this training video so he can go and fetch them when you need lol. Good luck Annette with the Dettol giveaway. Yes, Dabsey I agree. It is great and I use it a lot, all year really. Yes they do have lots of different product now. I like the cleaning wipes too. Easier to use than sprays I think. Good luck Jody. For me, Dettol is one of those rare products you can always trust! Utterly dependable, no altering the formula every year! I grew up with a Golden Retriever, the most beautifully natured and loyal breed. Thanks Nicola. Yes there was a recent Survey that found Dettol is regarded as one of our top brands in Australia. 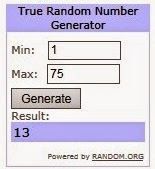 Good luck with the giveaway! Is it just me or does dettol smell great. Yes Justin it kind of has a clean smell, its definitely distinctive. I have heard of Dettol but that does not surprise me since I have avoided cleaning things my whole life. Anyway I did a quick wikipedia check and found this in the description: "Dettol may be used to clean cuts, wounds, etc. and to disinfect environmental surfaces such as household floors and the walls of slaughter houses etc." The inclusion of slaughter houses just cracked me up. Whenever I think of household floors the thought of a slaughter house just pops in my head - yeah right! If this giveaway includes worldwide readers then sure add me to the lottery. I really like the picture of Stella under the car and the story that goes with it. Dressing up dogs - you know Halloween is coming up (not observed in OZ? right?) and dressing up dogs has become nearly as popular as it is for people. I forgot to proof read before submitting the comment. I meant to write "I have not heard of". I have used Dettol as a disinfectant too and for medical purposes but never for cleaning. I will have to check what they have. Thanks Lilly for the heads up. We absolutely love the little Dettol hand sanitiser, it's perfect for car trips especially when we decide to stop at a gorgeous place for lunch without water around, it's so handy, easy to carry in the handbag. Hello Stella, what a gorgeous little pup you are. Gorgeous photo Lilly. Yes, they are like kids, full of life and do not really pay much attention to keeping things clean. Dettol Glen 20 Disinfectant Spray works well on stubborn whiteboards where you can't get those old marks off ... makes it look brand new. Ah - Dettol very useful, especially as we're toilet training right now! At least with Dettol you know you are clean and sanitised, Dettol is a brand I fully trust. Ha ha, enjoyed this post! 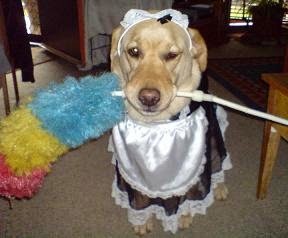 If only I could train my dog to do the housework. That would be perfect! I clean in the morning so I don't get carried away with other things! Phew! So glad you and Stella survived training and the instructor! I never thought about training a dog to pick up their toys-- that's a great idea. I hope you are well and life is good for you. The most adorable/cutest dog picture I have ever seen :-) I wish I could dress my 7kg fluffy cat like that haha....We only use Detol when it comes to cleaning as other cleaning products are not so good for humans especially for kids....My family's health is very important to me. My cleaning tip...always have BiCarb on hand, can use it for so much! That being said...I love Dettol and always have some on hand aswell! Hi, hows the school holidays going for everyone? We've needed Detol for mozzie bites, trampoline blisters, footy injuries, camping hands and for the lunch box that hadn't been emptied in ten days!!! Use Bedtime as Clean Time: While the kids are washing up at night, wipe down the tub, toilet using DETTOL and mirrors, and toss out clutter. When they’re finished, quickly wipe down the sink and floor. Bathroom done. At least your puppy graduated obedience school! How cute is your dog - he looks so innocent. Having two dogs (and a cat) myself I can totally relate to what your saying! Dettol is war again and their range of products is impressive! My cleaning tip is to simply clean up as you go and regularly so things don't get out of hand and super time consuming! This would be lovely and so useful, thanks for the chance Lilli!